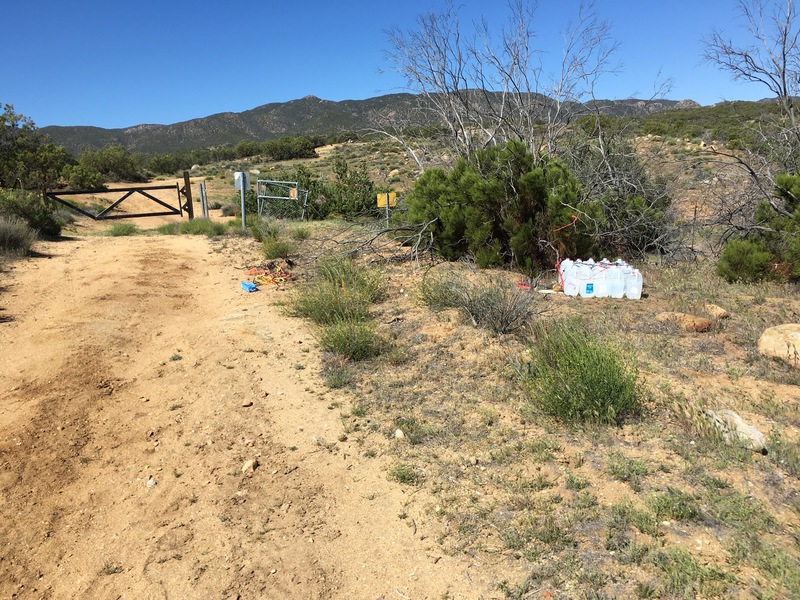 Got a text from Don on Saturday evening that there had been a report that Tule Spring (mile 137), a very important water source for thru hikers on the southern edge of Anza, had failed. So, I drove out first thing Sunday morning to check it out. 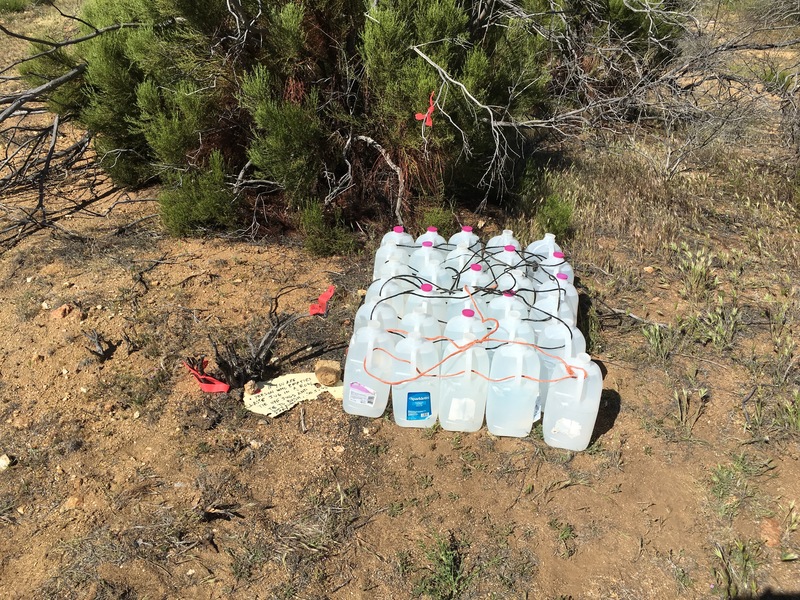 I had brought some water and other stuff with me, in the event that this is what I would discovered, so I immediately set up a bucket under the pipe outflow to capture every drop, in the hopes that, even at this slow rate, it would have time to fill partially between hikers. I also scouted the best route down to Tule Creek, below the pipe, which still had a small flow. I wanted to try to prevent hikers from using the route closest to the pipe, which was very steep and was already showing significant signs of erosion just from a few sets of boots. 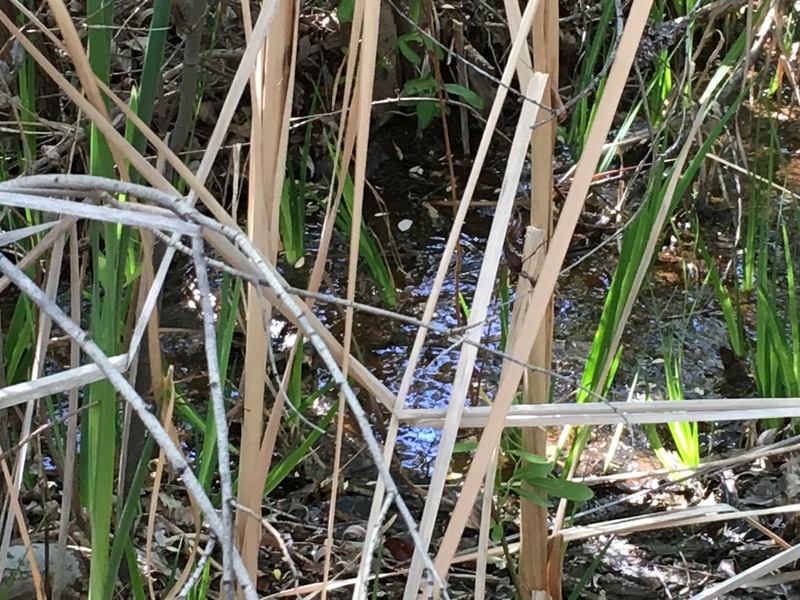 We had had some rain the previous week, and I knew that there wouldn’t be water flowing in this creek for long, but in the meantime, hikers would want to access it. 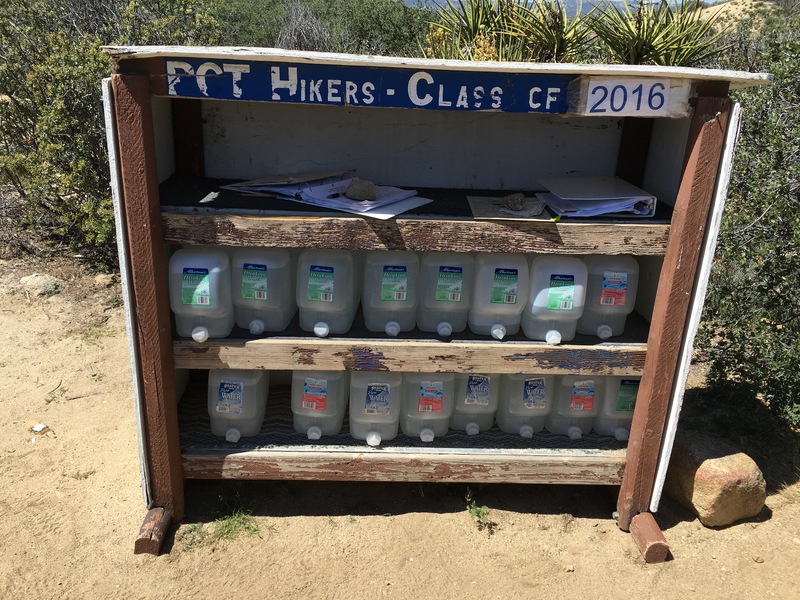 I had brought some water with me and set up a small cache — 30 gallons — just enough to see the hikers who had not gotten the word at either Trail Angel Mike’s or Warner Springs about the failure of Tule Spring, and would not have enough to get them through to the next water source. 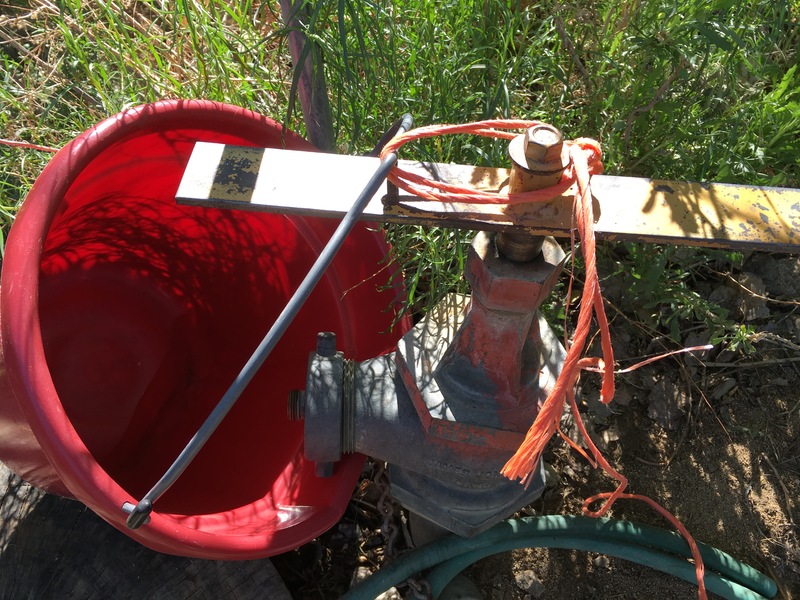 Once I had a cell signal, I sent confirmation of the ring failure to Don and pctwater, texted Trail Angel Mike to alert hikers going by his place to really stock up on water, and called the Warner Springs Community Hall to also alert hikers. The last thing I did was up my cache to 64 gallons and top off the Sandy Road cache at mile 143.1.